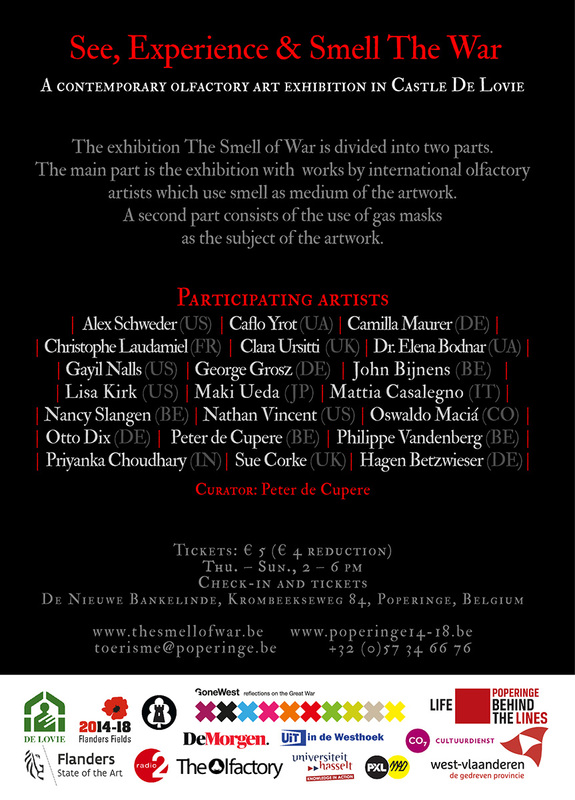 The Smell of War will shed light on the first gas attacks in World War 1 and deals with the fascinating phenomenon of odour and thereby goes beyond the usual museum based form of experiencing art. International artists from the present day demonstrate that scent can really be context and /or concept of the work. Scents evoke memories and so also emotions and associations, but let the beholder also re-think and reflect about the context of the work. The main focus of the exhibition lies on the olfactory artworks about gas attacks and chemical wars, as well as on the not-smelling aspect by protection of gas masks. So we also show works that smell of nothing at all and in which the odour is only conjured up by the visitor’s imagination, or translated as an odour through the image. The exhibition will be supplemented by a publication. 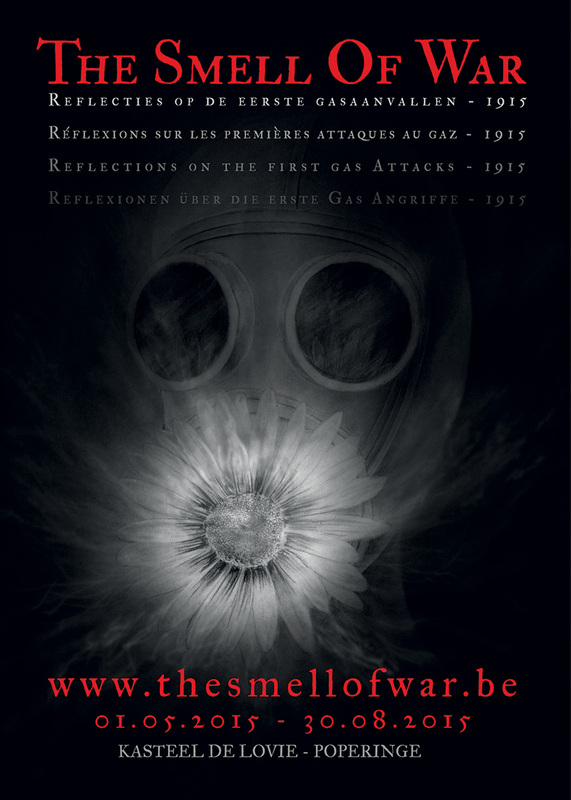 The context of the exhibition are the first gas attacks in 1915. The aim is to allow the viewer to stand still and reflect on the use of chemical warfare and more specific including gas attacks. The choice of this division - that sometimes partially overflows into each other - was made to avoid that an exhibition in which only smell was working as a concept of the exhibition would quickly turn of the idea of protection against gas attacks. Protection devices protect you from the gas and the smell. You are shielding the nose from the fragrance, the gas. The use of a respirator is also one of the first things we think of when we think iconographic about gas.